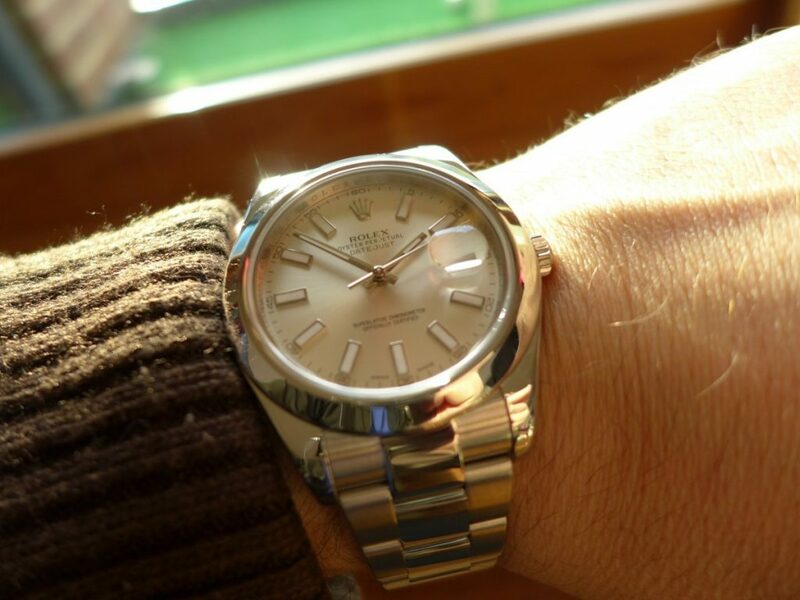 Hands On With The Rolex Datejust II 116334 stainless steel with white gold bezel continuing the Datejust theme thought it would be a good piece to post about. 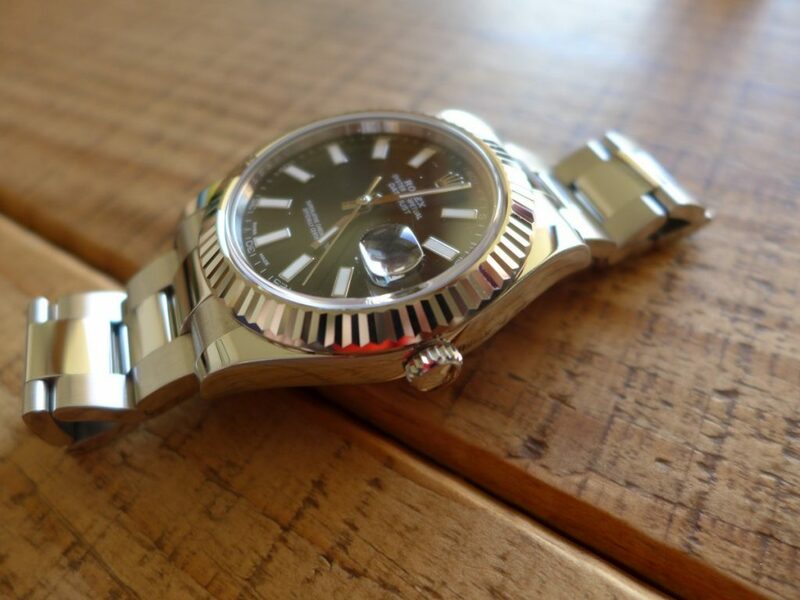 This model has also just been discontinued by Rolex following Basel 2017. 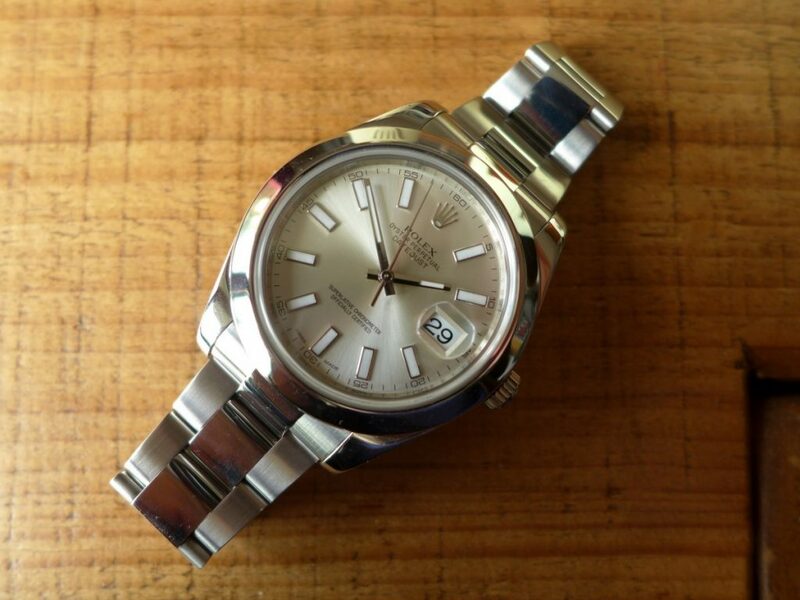 This model was never a hit with Rolex hence why they said goodbye I did like this model but felt the proportions was all wrong big watch big bezel little small crown. 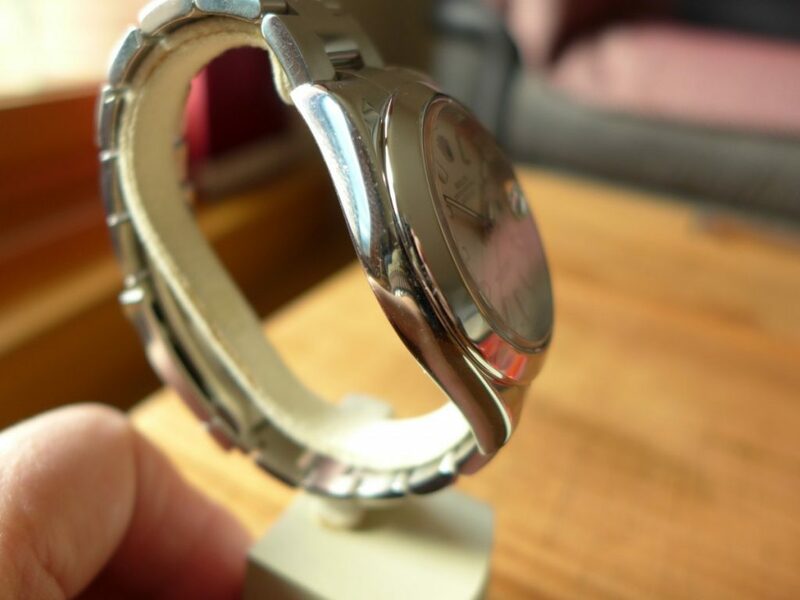 Size was 41mm with a white gold bezel on a oyster bracelet with a option of a jubilee bracelet at point of sale. But wore big with a diddy little crown Submariner are 40mm but have big crown and looked correct. The dial looked well thou stunning blue with baton hour markers and date window at 3 o clock, I did try one out but never bonded with the watch. 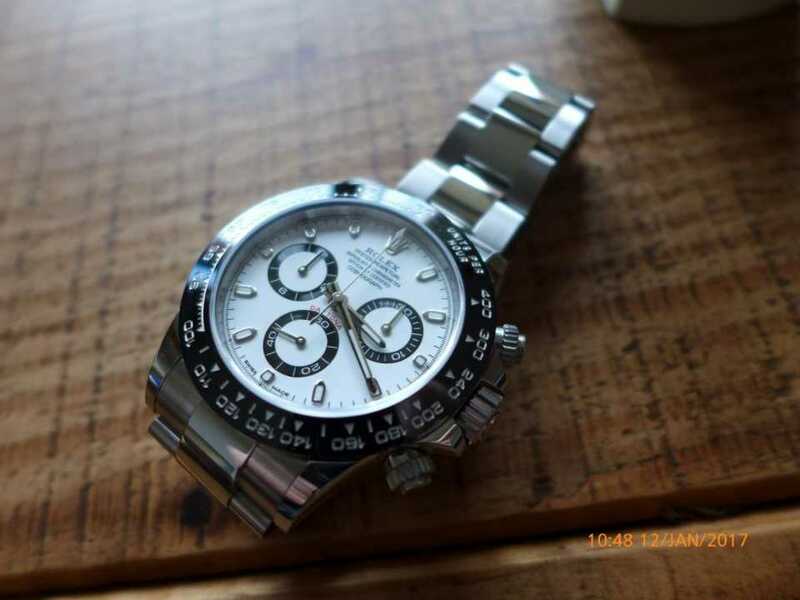 Rolex must have listen to folk and more than likely sales of the actual piece, they was not a best seller also very expensive at last Rrp was around £6850 ouch!! 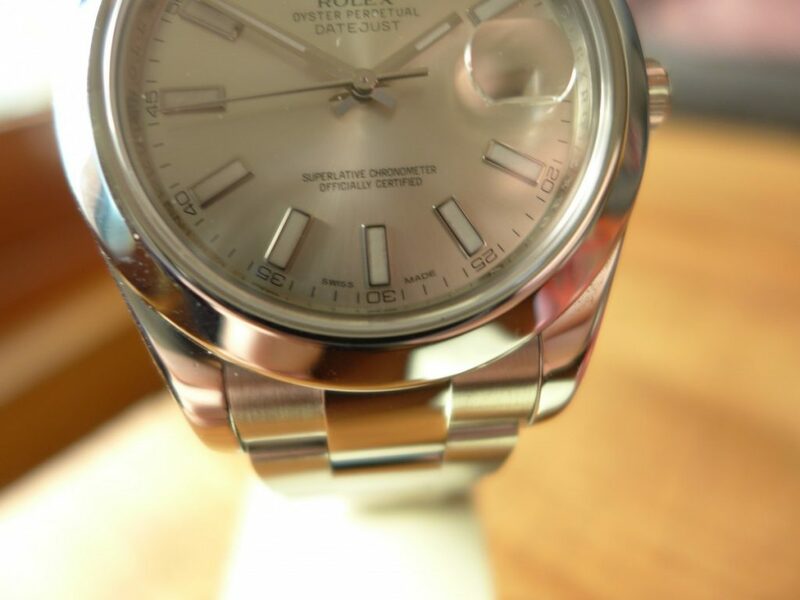 They have just launched a 41mm Datejust with white gold bezel so that is to fill the gap for saying fare well to the Datejust II. So do not be running out to buy one thinking it will be a future collectors piece as I doubt it will. It seems the latest crazy when a watch they finish production of. As the title says a link to a article of Roger Federer wearing the new Basel 2017 Sky dweller 3 days after the launch at Basel in March. This watch in my opinion is going to be the one to have. 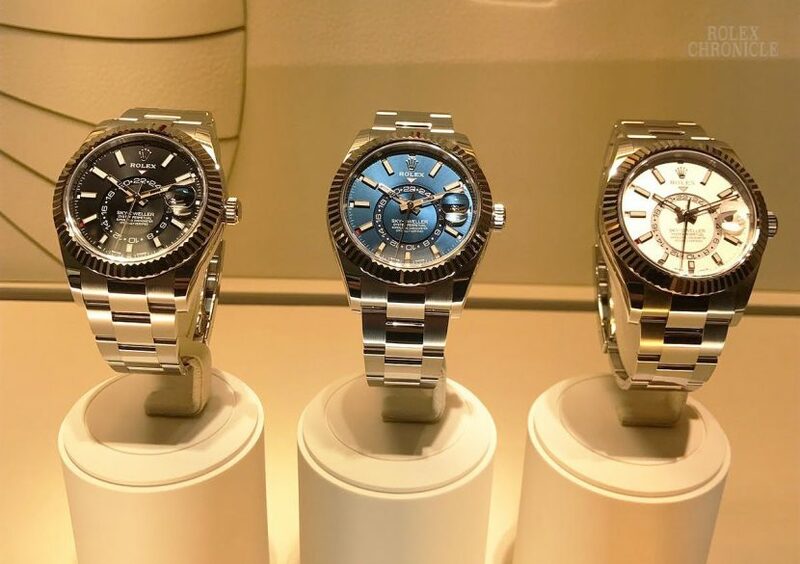 The new Sky dweller comes in the 3 colours of the dial white, black and beautiful blue which reminds me of the Patek Philippe 5711 with blue dial. 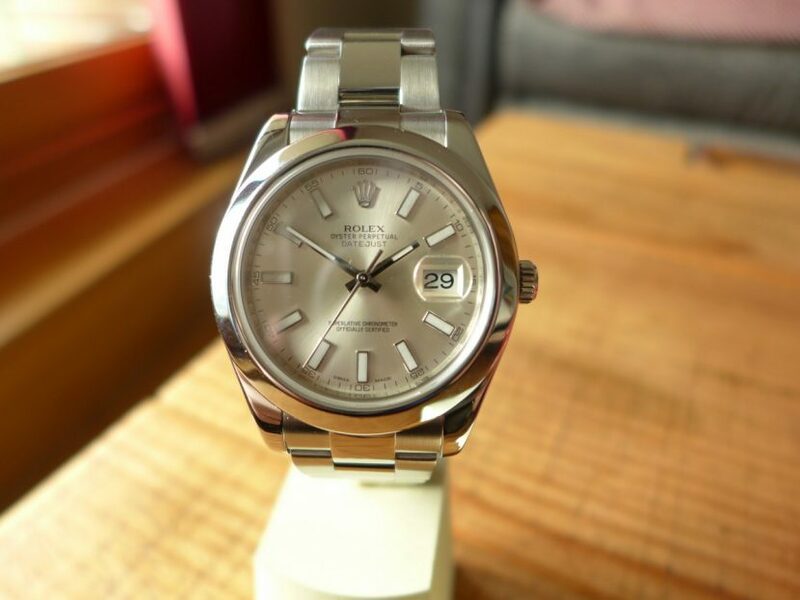 This model comes in stainless steel with a white gold bezel on oyster bracelet, Rolex in-house annual calendar date movement with GMT function which is Rolex’s most complicated movement to press. The annual calendar date means you set the date once a year and if the watch is worn or placed on a watch winder it will keep the correct date and time for a whole year. 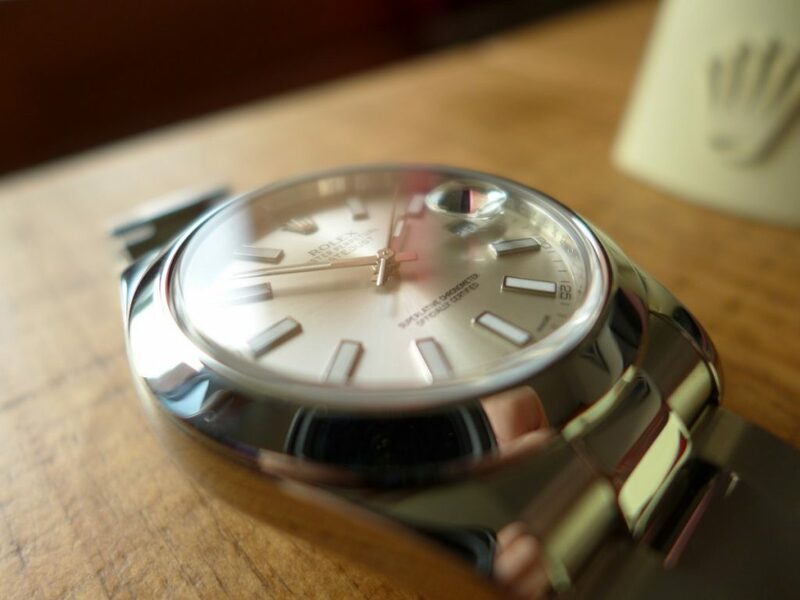 There is another type of calendar date on the market that Rolex not mastered yet, it is the perpetual calendar date which will keep the correct date even on a leap year up to about 100 years! Patek Philippe have plenty of these in their wide range of watches. 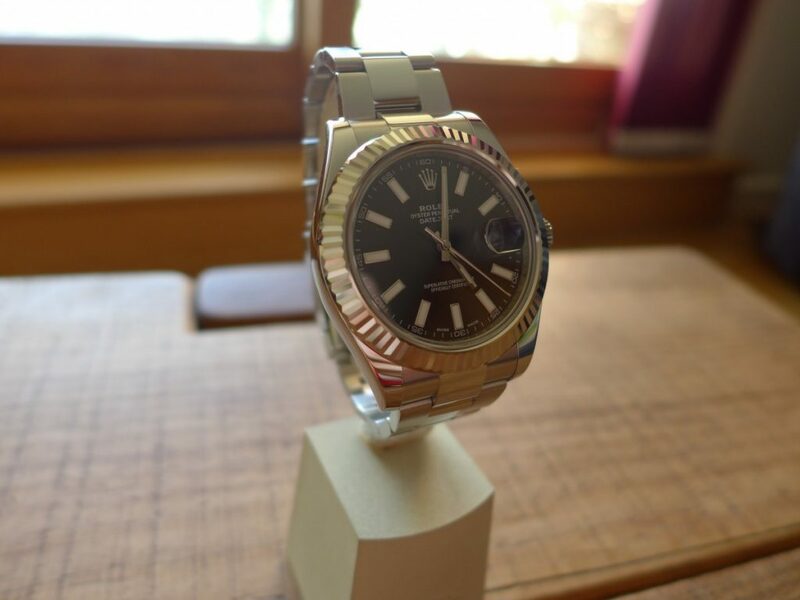 The Sky dweller was only made in precious metals when originally launched about 4 years ago 18Ct Rose gold, White gold, and Yellow gold up and till late last month which I thought was a great move by Rolex. I always wanted a sky dweller but ranging from £27,000 to £38,000 was never made financial sense and a lot of money to own one piece. Now the same watch will be in the shops in stainless steel with white gold bezel, annual calendar date GMT function, 42mm size case stunner all for £10,600 wow got say will be the one to have in 2017. I will be looking forward to hopefully getting a blue dial Sky Dweller as now the watch could be worn as an every day piece. The precious metals models not great for every day use as gold knocks really easy. 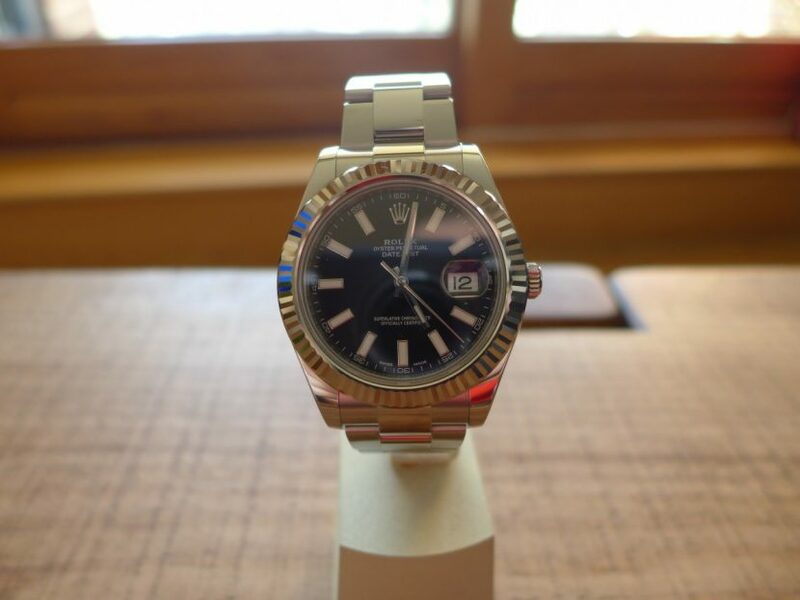 Overall for £10k will be a Rolex show stopper that is if I actual get the call from my local AD as I can only assume the list is climbing especially as there have took the blue and black dial off the Rolex website now 3 days after Basel. 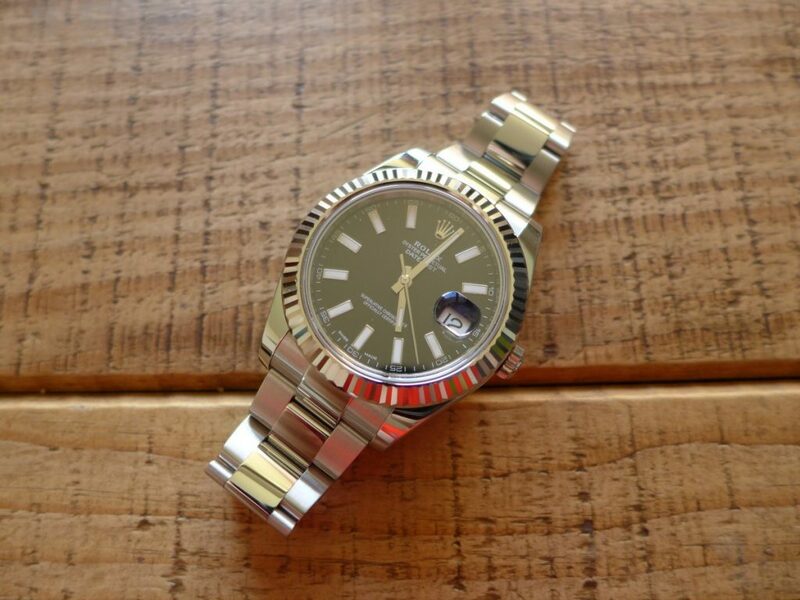 There is a link below to Roger Ferderer wearing his all thou he is a sponsor of Rolex and he does like sky dwellers !! 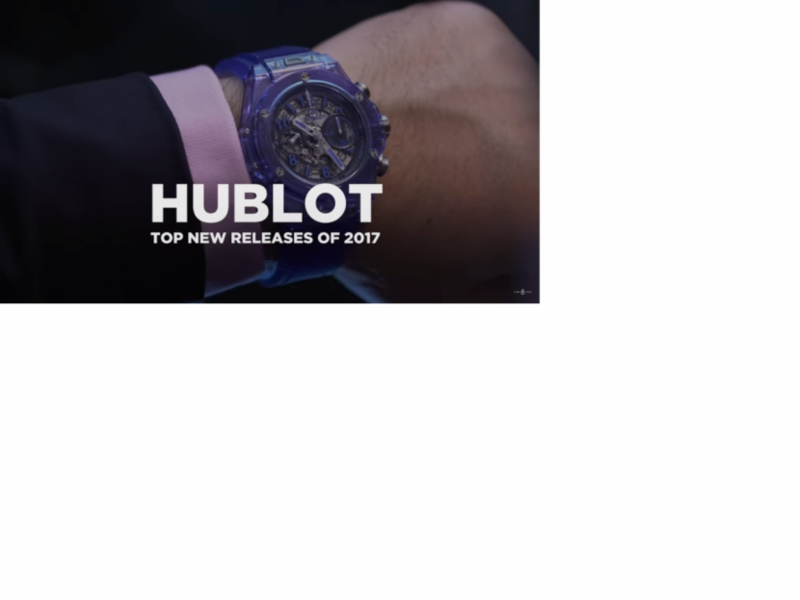 Here is a short video on the 5 Hublot watches at Basel 2017 that took a little bit of the lime light in design. They never disappoint in outrageous style and class more than likely very very expensive!! 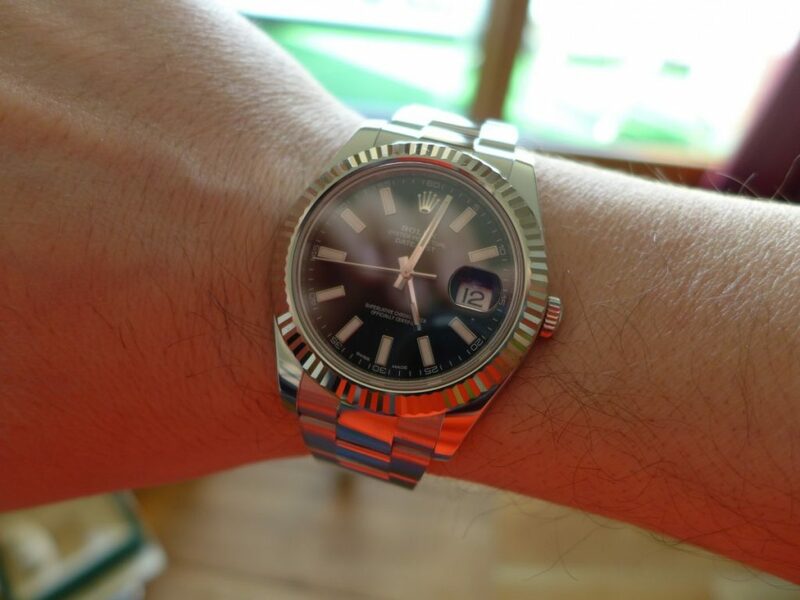 Sticking with Datejust model, Hands on with the recently discontinued Rolex Datejust II 116300 stainless steel with smooth bezel and silver dial. 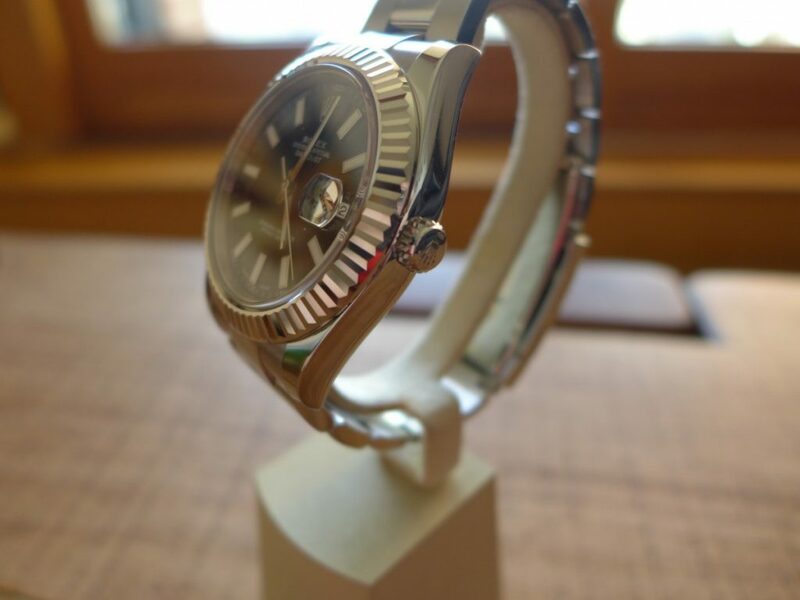 This watch was launched in 2009 and is 41mm in size wears a lot larger than the standard size gents 36mm Datejust. 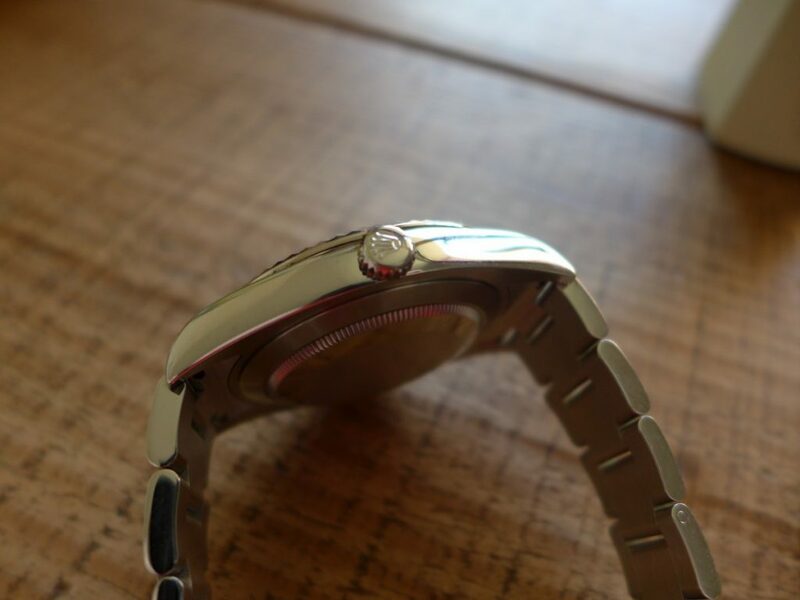 The watch is a mix of brushed steel and polished most of the head is polished and the oyster bracelet is brushed sides polished centre links with a folding Rolex clasp. The dial has baton hour markers pretty big with luminovo for night time luminosity . The blue dial version is much nicer version to the eye. 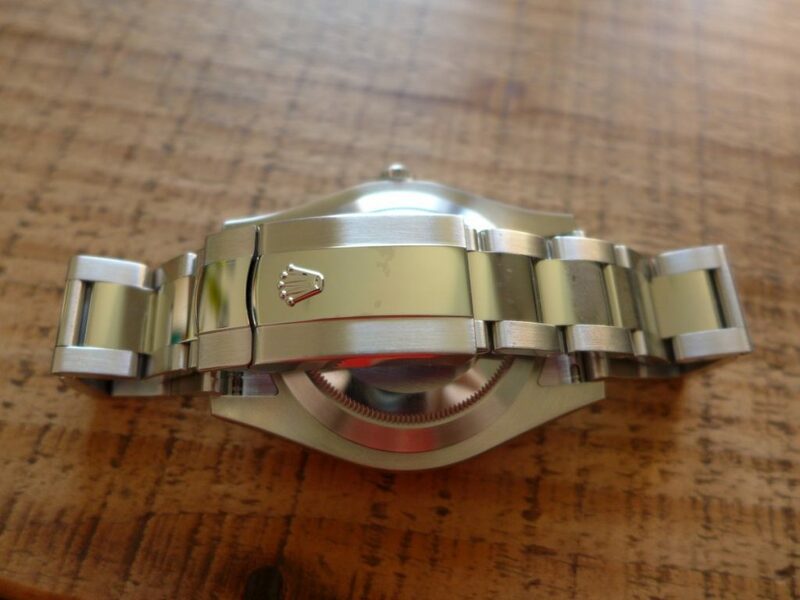 The watch comes on jubilee bracelet or oyster which I like them on both oyster more sporty look than dress. 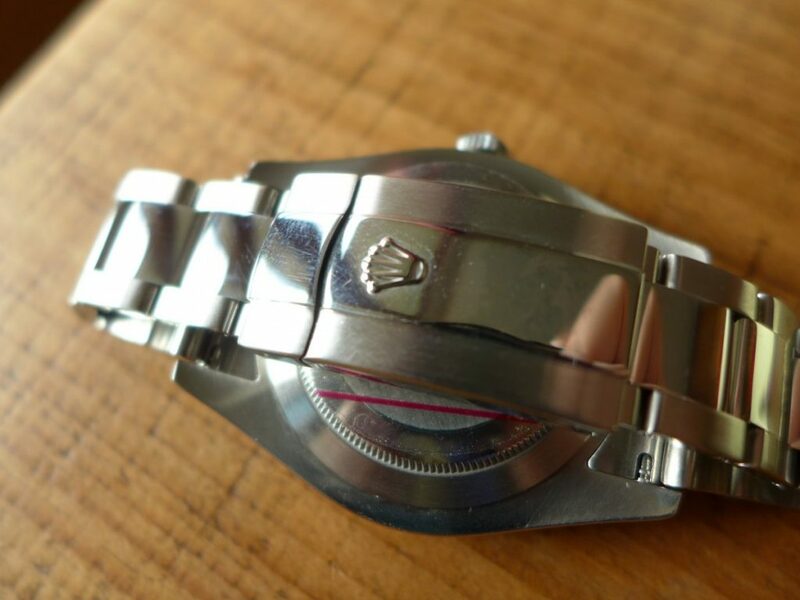 The only thing I always thought was the crown was too small for the size of the watch in comparison to a Submariner with case size 40mm with a bigger crown. Overall a nice watch but plain and bland good everyday watch that has just been fazed out at Basel 2017 to make way for the new Datejust 41mm not really sure the difference look very similar. 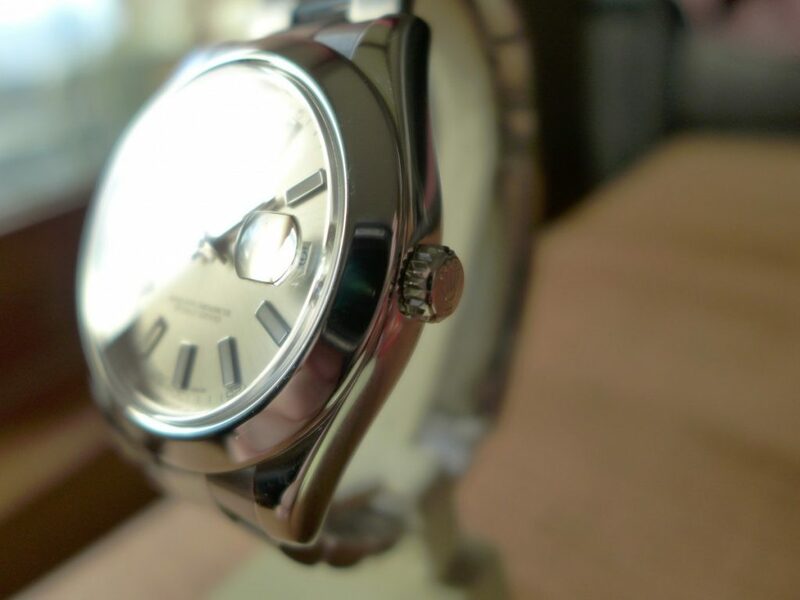 But Datejusts always been a very popular model from Rolex that I not always bonded with. Sports models tend to be the a better choice for residual value and more robust look. As the title says the best of Basel 2017 a video by Hodinkee of the Omega Boutique at Basel. As this year is 60th anniversary of the Omega so they decided to bring some special pieces that will launch later on in the year. 3557 individual pieces of Railmaster CK2914, Speedmaster CK2915, Seamaster CK2913 and 557 of the trilogy set which consists of all 3 watches for the true Omega collectors. The cost of the set is $21000 and the indivdiuals watches range from $6900 for the railmaster. All great pieces which are great re-makes of the original classics which Omega tried to make them as close to the originals but with a modern twist. 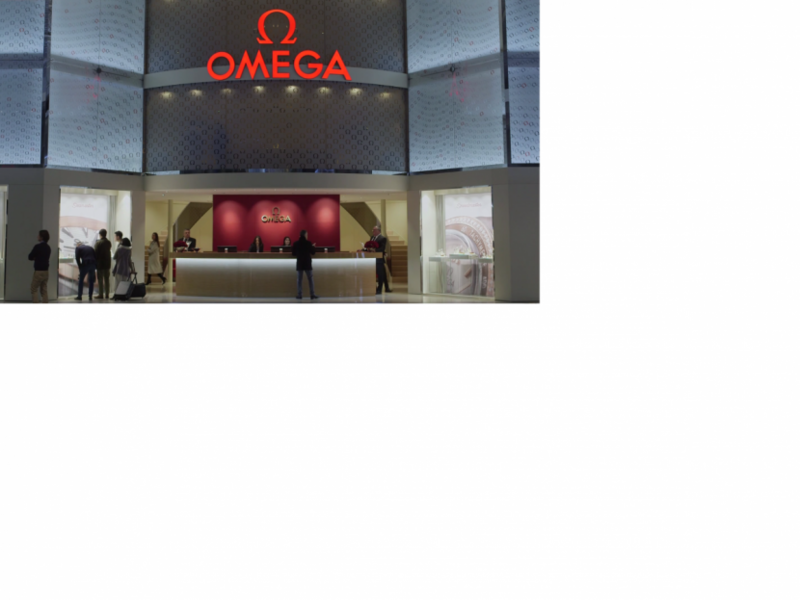 I doubt they will not be a hit when they hit the Omega boutiques. I am considering buying one of the watch watches myself the Speedmaster is the one for me.